Many woodworkers leave behind a legacy of work for future generations; some also leave trees to replace the ones they use. In northern California, the Sonoma County Woodworkers' Association (SCWA) gathers annually to plant the next generation of trees with the current generation of kids. The five-year-old program is a real community project. The group works with a different school each year to grace the grounds with native trees. The guild buys some; others come from a PTA "tree fund." Nurseries and hardware stores give discounts and donations, and a nurseryper-son helps select suitable trees. On planting day, woodworkers and kids gather trees and supplies. After a brief discussion and demo, adults and kids break into workgroups. In an afternoon, a dozen adults and a few dozen kids can easily plant 20 trees. Guilds & schools database! Maybe you've moved and want to make some new woodworking friends. Or maybe for New Year's you resolved to finally take a cabinetmaking class. AW's online guilds & schools databases have just what you need. You can even fan out to Europe and Australia. Names of contact people are also included, for more info. Don't miss it! 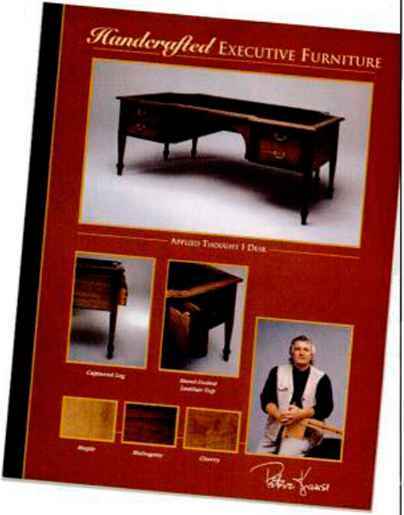 American Woodworker Online is part of the America Online computer service. 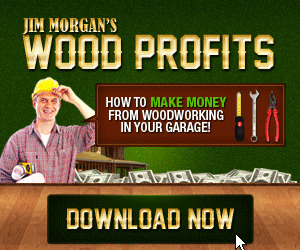 From the AOL main menu, enter keyword "wood." For free AOL software and 15 free hours of online time> call (800) 764-4400. Furniture for the corner office. Handcrafted Executive Furniture sells custom furniture to top execs. Each guild member has a presentation sheet like the one shown here.